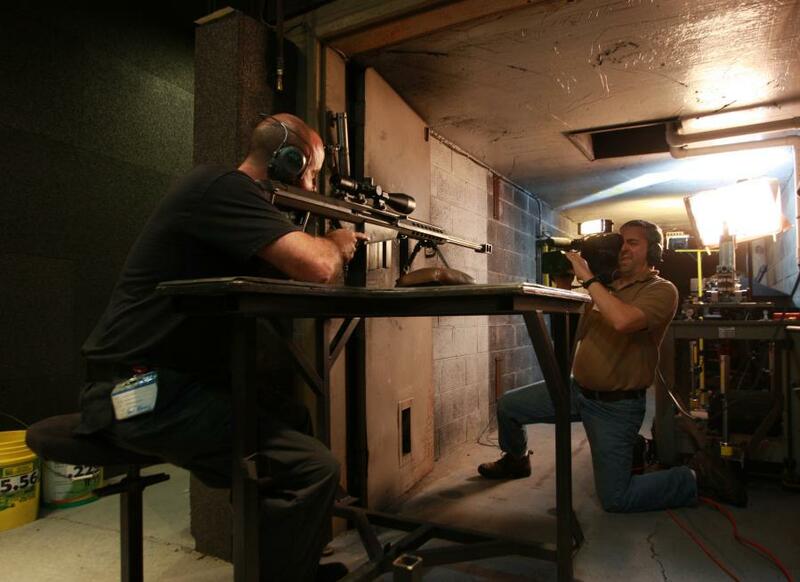 Robinson did a photo shoot for National Geographic titled Sniper Inc., which included this Barrett Manufaturing gun test of one of its military sniper rifles. Tennessee-based photographer earns consecutive Spectrum Awards for outstanding customer satisfaction. 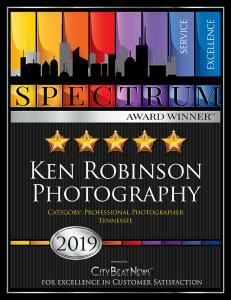 MURFREESBORO, TENNESSEE, UNITED STATES, April 8, 2019 /EINPresswire.com/ -- Premier Tennessee photographer Ken Robinson recently brought home his fifth Spectrum Award for Customer Satisfaction. With a passion for capturing creative and beautiful photographs and a portfolio that has been featured on billboards, websites and in National Geographic, Robinson goes above and beyond to provide customers with an experience that is out of this world. While studying art history with an emphasis on architecture, Ken Robinson took a few photography courses scattered through the curriculum. Eventually, he took his camera and a passion for the work and began a career in photography. Since then his career has taken off, including high-quality executive portraiture, wedding photography, commercial photography, real estate and architectural photography, and aerial work. “Right now, I’m covering speakers of notoriety at different universities in the South,” says Robinson. Among the subjects are Art Laffer, former economic adviser to Ronald Reagan; Ben Shapiro and Michael Knowles from the Daily Wire; Steven Forbes of Forbes magazine; and Dinesh D’Souza, writer, scholar and filmmaker. Robinson does some product photography on site from time to time and is one of the few photographers in the area that still uses airplanes instead of drones for aerial photography. He also specializes in high-risk photography, involving images shot on top of big high-rise buildings with him in the safety gear. As a professional photographer, Robinson brings a myriad of experiences to his clientele as a means of assuring the most positive photography experience possible. He uses the best equipment and he continually adds to his technical knowledge through education and interaction with other professional photographers and artists nationwide. This commitment to learning has earned him a name as one of the top photographers in the region, as well as five consecutive Spectrum Awards for Customer Satisfaction. Contact Robinson at 615-895-2350, via email at ken@kenrobinsonphotography.com or on Facebook at www.facebook.com/kenrobinsonphotography.com. Visit his Award Page at https://awards.citybeatnews.com/KEN-ROBINSON-PHOTOGRAPHY-MURFREESBORO-TN. The Stirling Center's objective is to encourage and enable excellence across many fields. The Stirling Center, www.stirlingcenter.org, recognizes service excellence in both commercial and construction businesses such as those served by City Beat News and Pulse of the City News. For more information, call 866-732-9800 or go online to www.citybeatnews.com. 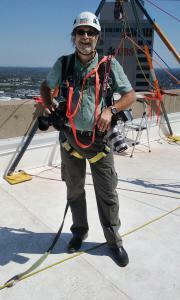 Robinson specializes in high-risk photography, involving images shot on top of big high-rise buildings with him in the safety gear.